Now we're not quite sure if this has been done before, but we can say that we're thinking Chanel has quite the clever marketing department this winter. They've only gone and put themselves in the best possible place to make sure the who's who of the skiing season don't forget about them as their climbing the mountains. 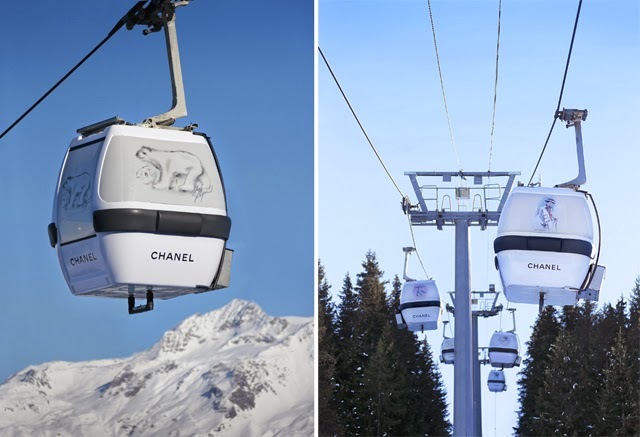 Chanel have taken over the slopes in Courchevel by covering the cable cars that take skiers up the mountain. Of course this is all in aid of their latest pop-up shop right in the heart of Courchevel. We have it on good authority that this is one of Chanel's "coolest" pop-ups to date, every pun intended. 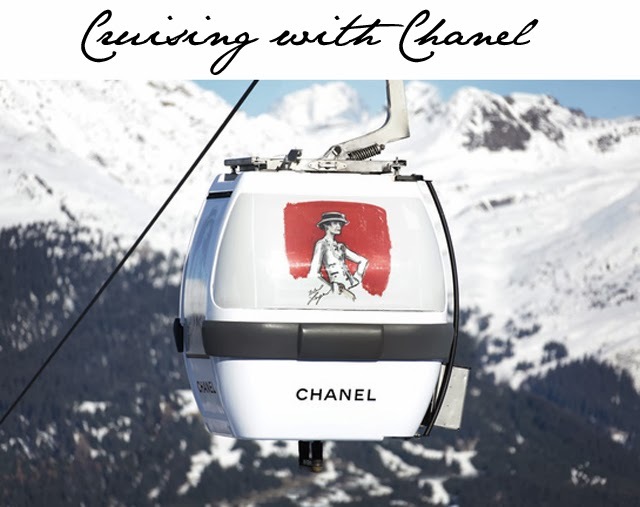 Definitely worth checking out - Chanel pop-up shop, esplanade "Le Tremplin", Courchevel 1850 open from December 14th 2013- April 2014.